Since they lit up in the post-rock scene with their 2006 debut EP, "Young Mountain", This Will Destroy You always felt like a band with enormous potential. 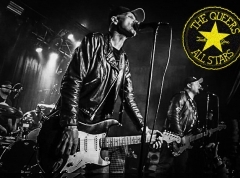 More so than any other post-rock act to birth in the past five years, the boys from Texas defined what the genre meant to new-coming fans. Their self-titled debut full-length was a lesson in every post-rock album ever, without doing anything original. Then, in 2010, they released "Moving on the Edges of Things", a rather shocking departure into sheer ambience. 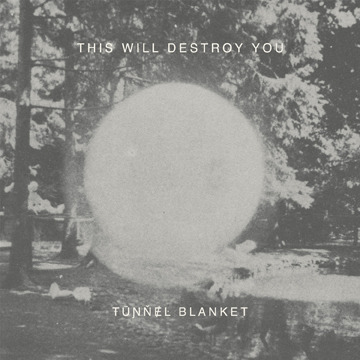 Their second album, "Tunnel Blanket", continues even further into ambient territory. It would almost be enough to say to 'forget everything you knew, or thought you knew, about This Will Destroy You'. This is decidedly not a post-rock album, created by a band who seemingly have no desire to be associated with such a tag anymore. Where their previous albums were pretty to listen to and could engage you at their finest moments, "Tunnel Blanket" is an altogether different beast. It doesn't create melodies, it creates atmosphere. The idea alone of sinking into an album that's an hour of atmosphere is enough to send many a music fan running for the hills, but from the outset "Little Smoke" captivates the listener with subdued ambience while the constant threat of something bigger lurks beneath. A few minutes in and, out of absolutely nowhere, TWDY unleash a devastating wall of noise upon the unsuspecting listener that paralyses you, holding you until the final moments. Contrasting the suffocation of "Little Smoke" are calmer efforts, which focus less on trying to overwhelm you or making you feel like death. "Reprise" is a lesson in how minimalistic layers of flowing ambience can sound hypnotic, while "Killed The Lord, Left For The New World", arguably the centrepiece, is a beacon of light amongst the bleakness as tribal-like drumming, child vocals, and acoustics are subtly combined with the ambience to create the most uplifting piece of the album. Perhaps highlighting individual songs is belying what "Tunnel Blanket" does to you. With a critical ear I have highlighted specific songs which stood out for me, but it's a headphone album if I've ever heard one; the kind of record that you listen to in an enclosed, dark space, alone, with eyes shut as you let your mind wander because you're slowly but mesmerisingly engulfed in the tender atmospheres of "Tunnel Blanket". It's not like you'll be coming up for air to learn what specific track you're listening to - its hold is far too strong for your attention to lapse like that - instead, you'll just be enjoying being wrapped in its blanket. After establishing themselves among the best and most popular of 'newer' post-rock bands with "Young Mountain" and their self-titled album, despite however unwittingly that may have been, nobody could have predicted the departure that is "Tunnel Blanket". It's a record that nobody saw coming from This Will Destroy You, of such magnitude, so finely crafted that even though it's an album of such bleak despair, it sincerely makes you feel something. That can only be described as beautiful.